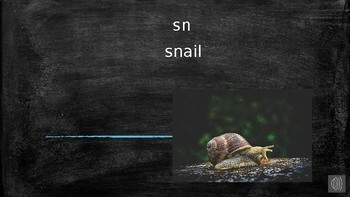 A slideshow with initial consonant blends sn, sp, st. 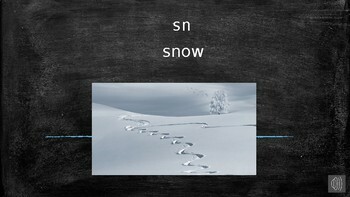 The slideshow begins with the blend, an example word, and a prompting picture. 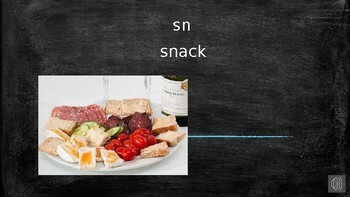 The second half of the slideshow has the same words without the pictures. There is audio at about 3 seconds for the slides with pictures and 4 seconds for slides without pictures. 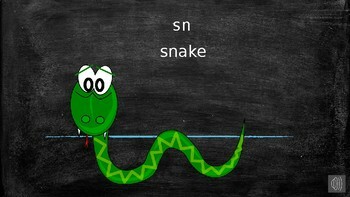 I use these to help students practise initial consonant blends. They sound out the blend alone and say the word before the audio if possible. I have found that students who begin reading these more smoothly start reading many other words fluently that have the same blends in other contexts. You can use the slides without the audio if you want to move more slowly, for example. Also, you can mix up the slides as the student becomes more proficient to avoid him or her memorizing the list in order. This ensures that students are reading rather than simply saying the words by rote.